MACOMB TWP. — Typhoid fever is rare in the United States in large part due to its high food and sanitation safety standards, as only about 300 people get the disease each year. But worldwide, it’s a much bigger problem, with about 22 million cases and 200,000 deaths recorded. Hussein Smidi, a longtime pharmacist and nutrition expert from Dearborn, knows the dangers of the disease all too well, having contracted it at age 18 in his native Lebanon. Smidi became extremely ill and was only saved through a harsh treatment protocol of daily antibiotics, after which he says he was “never the same” health-wise. From there, his life became a quest to learn more about the human body and what it takes to heal and become well, leading him on to a new calling as a nutrition products formulator combining the best of his old world, Lebanon, and his new one, the United States. “In 1992 I went to study at pharmacy school,” Smidi said. “You hear about the United States and it’s true, this is the greatest country on the face of the planet. The statistics back it up: According to a 2017 analysis of multiple studies from the World Health Organization, CIA World Factbook and the World Lung Association, the U.S. is the only non-European country to make the top 10 of the most unhealthy countries in the world. Americans have high rates of obesity and 6 in 10 adults are currently suffering from a chronic disease. He added that people in many poorer nations are healthier. Smidi also remembers life in the old country, where he saw his elderly grandfather and others plowing the fields, working to 70 or 80 years old and remaining strong without medications. Memories like these were just part of his inspiration for learning as much as he could about nutrition and using it to formulate his GreenGold Nutrition line of natural supplements designed to fill in the gaps for people suffering from chronic disease or simply just looking to get healthy again. “I’m a registered pharmacist, but my passion is nutrition,” Smidi said. “Where do we get the nutrients we’re missing? We should be getting them from food. 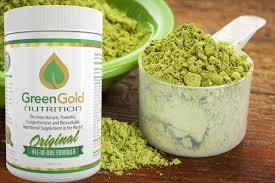 Seeking to rectify the problem millions of people face from over-consumption of processed food from damaged, nutrient-deficient soil, Smidi went on a one-year quest to come up with what he calls the most comprehensive nutritional supplement in the world, GreenGold’s All-in-One formula. He was joined by his friend, nutritionist Dan Sienkiewicz, who spent years in the Amazon rainforest learning from native tribes. 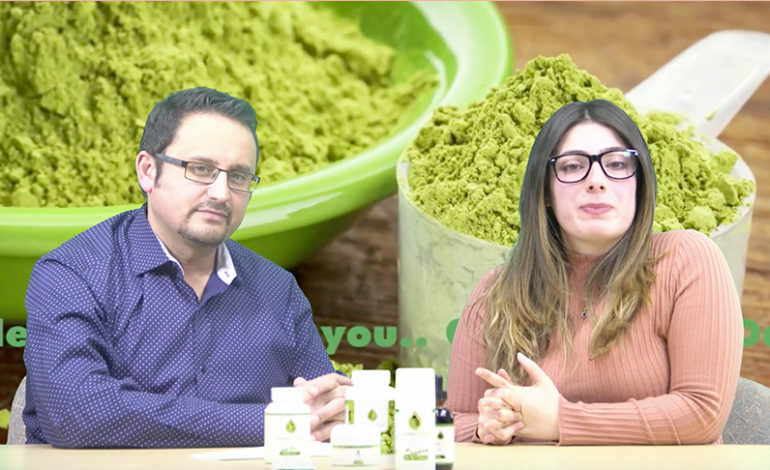 More than 200 different nutrients are present, including all essential vitamins, macro and trace minerals, amino and fatty acids, as well as hand selected green grasses, vegetables, fruits, mushrooms and herbs, Smidi said. The benefits feel different than unsustainable, one-dimensional weight loss plans or juice cleanses. His clients have noticed the difference. Smidi, who runs his business out of Macomb Township, has also worked with many clients in Dearborn and among the Arab American community, who have felt the benefits first-hand. He said that the formula is comprehensive enough to be a meal substitute, and his website features testimonials by people who’ve improved their blood test results, helped their kids get their health back and even overcome pain and other symptoms of diseases like fibromyalgia. It helps foster results that people don’t get from synthetic vitamins sold in big box stores. “When you put pure nutrition in your body, God put these nutrients in place for a reason,”Smidi said. “They are designed to help repair itself and give us a chance to combat whatever we’re exposed to. “To lead healthy lives, that’s really the mission,” he added. For more information on the All-in-One supplement or GreenGold’s full lineup of supplements, visit the company’s website here. 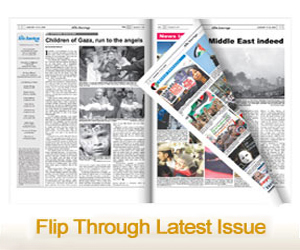 Readers of The Arab American News can receive a 20 percent discount on their first purchase of the formula, along with shipping, by using the code ggn20 during checkout.